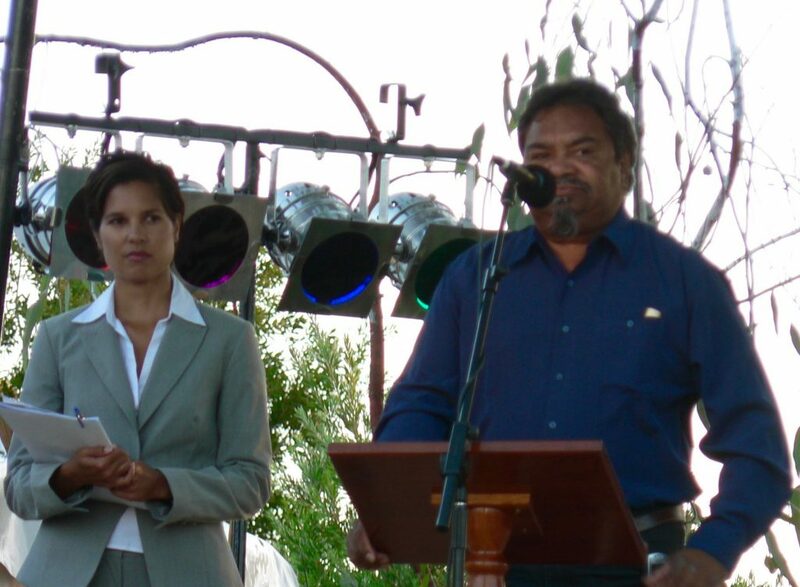 Ezzard Flowers speaking at the Official Opening of Koorah Coolingah exhibition, Katanning, with MC Norelle Jacobs in the background, 24th February 2006. Berndt Museum of Anthropology, The University of Western Australia. Ezzard Flowers, who travelled to Colgate University in America with Athol Farmer and John Stanton, reminds us of the impact of the return to the South-West of some of the ‘lost’ collection of Carrolup children’s art on Noongar culture. It was, indeed, an emotional occasion. He saw this art, these ‘wandering spirits’, as having reconnected through Noongar people to the families and cultures of the region, through their depictions of landscape, of country. 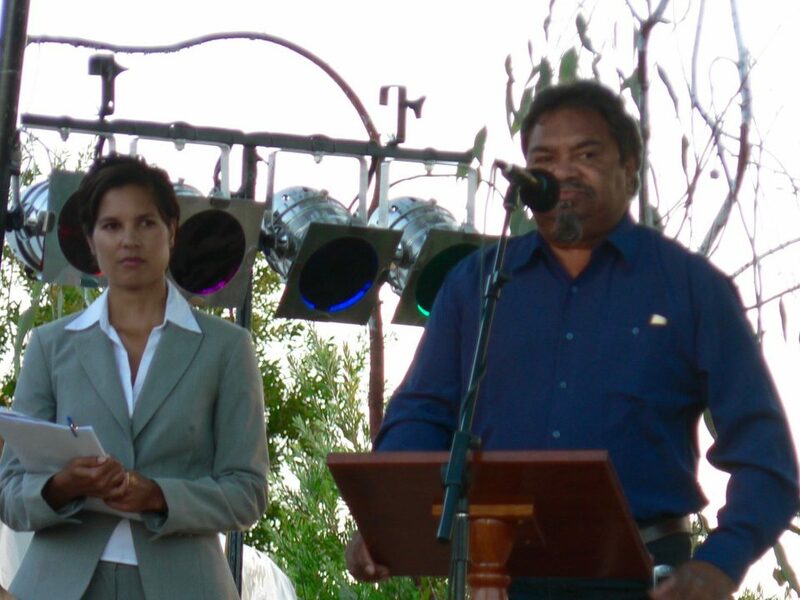 The Official Opening of the Koorah Coolingah: Children Long Ago exhibition, for the 2006 Perth International Arts Festival was, he said, an important statement of ‘being’ Noongar, of holding country—an affirmation of Noongar people and their sense of ‘place’.